Summary: What happened to the girl you left behind? In 1916, French artist Edouard Lefevre leaves his wife Sophie to fight at the Front. When her town falls into German hands, his portrait of Sophie stirs the heart of the local Kommandant and causes her to risk everything—her family, reputation and life—in the hope of seeing her true love one last time. 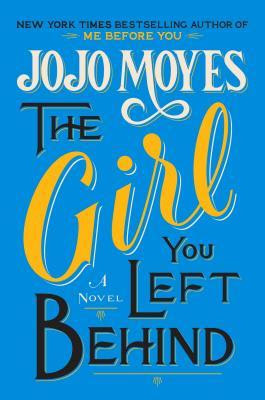 Review: The Girl You Left Behind tells the story of a painting so powerful it changed the course of two very different women’s lives forever. Sophie and her sister are managing the best they can under German occupation during The Great War. When a new Kommandant arrives, he overtakes the sisters’ restaurant for his men. In the restaurant hangs a sultry portrait of Sophie painted by her artist husband Edouard, who is fighting at the Front. The Kommandant is a student of art himself and admires the work of the painting—and perhaps the subject as well. As Sophie and the Kommandant speak of art and things beyond the happenings of the war, Sophie begins to seem him a man and even a friend. When Sophie learns that her husband has been captured and sent to a prison camp infamous for its wretched conditions, she decides to risk her tenuous bond with the Kommandant in hopes that he can help her husband return to her. Flash forward to nearly a hundred years later, Liv Halston is a young widow coping with loneliness and financial distress in modern-day London. On a night out to drown her sorrows, she meets Paul Cafferty. Paul stirs something in Liv that she hasn’t felt in years and she decides to nurture this tender romance. Paul Cafferty lives in London putting his former skills as a New York City detective to work tracking down works of art wrongfully taken from their owners during wars and restoring them to their rightful heirs. His most recent case involves a WWI-era painting. His jaded attitude takes a backseat when he falls for vulnerable Liv Halston, but that comes to a screeching halt when wakes up in Liv’s bedroom to see the the painting he's searching for, titled The Girl You Left Behind, hanging on his new girlfriend's wall. Liv refuses to relinquish the painting that meant so much to her deceased husband, opting to have a showdown in court with Paul. She's convinced he knew all along and used her romantically. Paul wishes she could see how cheated he feels by these turn of events, but he knows there is no future for them anymore and must focus on doing his job. As he sees the media pulverize Liv and discovers moral ambiguities in his clients' motives, Paul finds himself digger deeper into what should be an open-and-shut case of property restoration hoping that there’s more to how the Kommandant acquired Sophie’s painting than what his case folder contains. Though a century apart, two love stories hinge on the power of a beautiful painting—will that power destroy love or buy it a second chance? Two highly intriguing love stories from two very different eras, but both with much at stake, converge in this riveting book by Jojo Moyes. For the sensitive reader: An unpleasant scene of prostitution (though not highly graphic) is likely to make readers squirm. The book also contains some language, war-appropriate violence, attempted sexual assault, and a violent suicide. 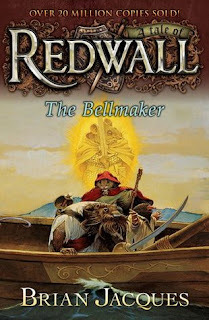 My Review: I'm on a Redwall kick again (it never really goes away, honestly), and I'm working my way through the Redwall series, as I've only read just over half (and re-read several I love--see the struggle? I just finished reading 'Taggerung' for the third time, but it's hard to write reviews on your most favorite books so I gave up). I loved 'The Bellmaker.' I love the way Brian Jacques weaves the world and adventures of these anthropomorphic animals, the villains and heroes and songs and fun. Not to mention food. I get hungry every time I read a Redwall book, because he describes the feasts in a way that makes my mouth start watering. 'The Bellmaker' was a fun adventure, a father out to find his adventuring, warrior daughter. I loved the characters they meet along the way, the always loyal gousim of shrews, the adventuring sea otter Finnabar, the lost children making their own way. Jacques has such great characters that embody all that is good or evil, that are bold and adventurous or quiet and timid. Everyone, not just the warriors, has the opportunity to be a hero, the blind characters, the mute ones, the simple, the fearful, the overlooked. The most wicked will always be brought to justice, and even the strongest of the characters are not afraid to show tears, which I love. The thing that I loved most about this book was the good rat. Yes! A good rat! If you're not familiar with the Redwall series, Jacques has simplified the world down to good and wicked animals, generally speaking. Otters, mice, hedgehogs, squirrels, badgers, hares and the like are always 'good.' While rats, stoats, ferrets, foxes and the like are always 'wicked.' He's deviated a few times, but I particularly loved the deviation in this book, when the searat Blaggut comes to be friends with those at Redwall Abbey in his charmingly simple and sweet manner. It was a nice change, and one that made me smile and feel all toasty inside. 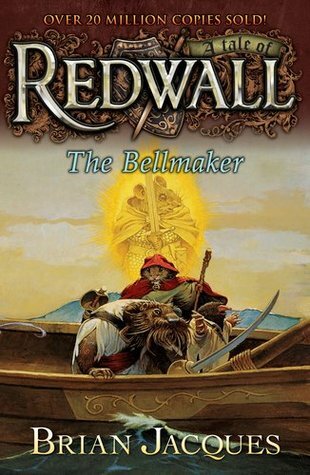 You don't particularly have to read these books in any order, as they are all separate adventures, though I would suggest at least starting with the original, 'Redwall,' to get a basis. Otherwise, I've just been looting the shelf when the fancy strikes me. The world of Redwall is a encouraging one, yet not without its losses and feelings--it stretches across the gamut of emotions. But it's always comforting when the invitation comes at the end of nearly all these books for any with a good heart to come to Redwall Abbey. I miss Brian Jacques, as he passed several years ago. I would watch the Redwall TV show as a kid and loved his bits at the end, where he'd come on with his wonderful English brogue and tell us about his unique and charming world. Thing is, you forget he's gone when you pick up these books, because he's there telling you the story, and that's just so magical to me. 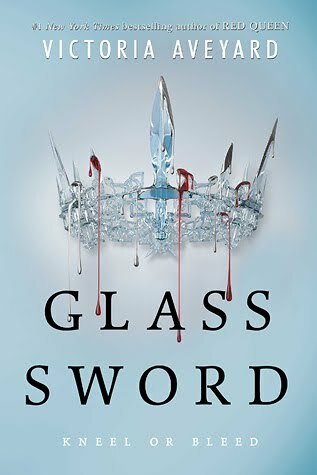 For the sensitive reader: Contains many skirmishes and battles that involve swordplay, violence, and death (including main characters). Nothing too graphic or gruesome--Jacques' has a delicate way of playing out these events. Review: Mare doesn’t know how she got out of the arena alive. In shock from the carnage she’s caused, the deaths she’s just witnessed, and reeling from the unsteady (and untrusted) alliances of the Scarlet Guard, unknown players, and Cal. She knows something needs to change, she’s Enemy # 1, but how far is she truly willing to go? Aveyard has found a relatable, realistic (as far as humans who can control electricity are concerned) heroine in Mare. She’s flawed. She makes mistakes, she has a temper (which she loses sometimes), she’s not the perfect strategist or soldier, and she feels not only an immense sense of needing to enforce justice, she wants revenge. It was so easy for me to get lost in Aveyard’s world. She’s an amazing writer who grabs your wrist and races you through the plot, scarcely giving you a chance to breathe. The plot, while sometimes containing holes I’d prefer filled, is logical and quick enough that you can’t put the book down. Something might happen if you do! I especially appreciate the flawed hero. It makes Mare more relatable, and makes the series more emotionally charged to have a heroine who isn’t perfect. Not only am I invested to see how it’s going to turn out, I know there’s growth to be had from Mare. I also know the risk of her fall, which seems plausible. I loved the Hunger Games, but I always felt that Katniss couldn’t fail. She may lose the war, but she’d never have a moral battle. I like this struggle in Mare. For the Sensitive Reader: This book is more intense, more violent, more bloody than the first. My Review: I thought this was a really fun recipe book. First of all, it had lots of recipes from places I really like. I must admit that I probably won’t be making a Burger King burger at home—just because I can easily go buy one for super cheap about five minutes from my house—but I did like making stuff from restaurants that are not as easily accessible for me. For instance, there’s a Cheesecake Factory about 45 minutes from my house, but getting there and then waiting in line (which can sometimes be hours!) is just not feasible all the time for me. I tried a couple really yummy recipes from Cheesecake Factory. 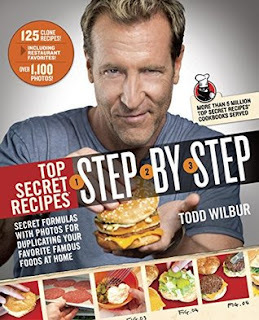 One of the coolest things about this book is the recipes that from restaurants that I don’t have access to here. For example, Bubba Gump Shrimp Co. isn’t even located in my state, and one recipe in particular, Bubba Gump Shrimp Co. Shrimp New Orleans, was super fabulous and I was indeed dreaming about the sauce the next day, just as promised. I even made some apps from restaurants that I have here and it was fun to have them at our dinners. We even used the mozzarella cheesesticks from Applebee’s as part of our fun Christmas dinner. Now—these recipes are not always easy. They’re not necessarily complicated, but some of them seem like a heckuva lot of work when you could just easily go buy them at a fast food joint, and for that reason I probably wouldn’t make all of the recipes listed. However, some of them are totally worth it, and I really liked the introduction that Wilbur had written about why copycat recipes are fun and relevant. I thought his points were great. He’s obviously been asked this before, and clearly states his points: cost, customization, discontinuation, scarcity, location, mixed-up menu, fun, and adulation. After reading his points, I totally got why he does what he does and it was even more fun to try the different recipes. I even looked at his website and I’ll probably buy some of his recipes (which are available for individual purchase at a nominal price). Chili’s Chicken Enchilada Soup, anyone? As far as whether or not these recipes are exactly like the originals, I’m not totally sure. I think some are closer than others. He doesn’t recommend brands of ingredients, and I think we can all agree that in some situations that really makes the difference. Although the recipes I made were delicious, some I made were closer to the originals than others. That’s okay, though. They were still yummy regardless of their authenticity. I think this is a really fun series of cookbooks and I recommend it for anyone who’s thought, “I should try to make this at home!” after eating something really yummy at a restaurant. For the sensitive reader: This book is clean, but certainly not clean eating. Summary: How do you punish an immortal? Review: Summer just demands a good, fun book from Rick Riordan, doesn’t it? Just me? I love his books. I love how accessible he makes the Greek myths, I love how intertwined all of his series are, I just enjoy his writing. Sometimes you just need fluff, hence the summertime need for a Riordan book. This is his newest series, delving back into the Camp Halfblood world from the perspective of a now-mortal Apollo. 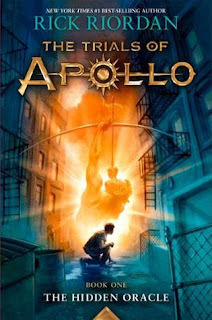 Riordan hasn’t sacrificed his protagonist’s ego for his humanity, nor has he made human-Apollo entirely unlikeable. Part of this is the amnesia tool - since becoming human, Apollo can’t remember everything he did as a god - but part of it is the humility that Apollo must require to regain his immortality. While the stories themselves are relatively predictable, I don’t get the feeling that Riordan ever calls it in, and as such, these are always good books to turn to when you’re either in a rut, or when you’re trying to find something to entice a reluctant reader. I would recommend reading the first two Camp Halfblood series first, as the events in them are heavily referenced. However, this series feels like it’s written for a younger audience than series number two. For the Sensitive Reader: Greek swears, references to adultery, betrayal. My Review: When I got this book, I was expecting a book on Scottish lore and some creepy ghosts that go along with it. I was not wrong. There is a small dose of Scottish lore and a healthy dose of very creepy ghost happenings. That being said, the book is actually a light chick-lit romance with the main characters falling in love over the scariness and aftermath of a very angry ghost. So. I’m Scottish. Well, my granny is full Scottish which makes me at least ¼ Scottish with everybody else’s genes mixed in. I’ll spare you the rest of my genealogy, but suffice it to say that I was really looking forward to some fun Scottish lore and ghost stories. 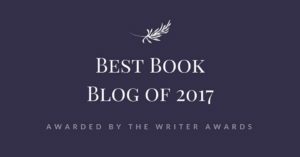 What I was hoping for was possibly one of those books where there are parallel stories going on—the modern story as well as the deep and intricate re-told or re-invented Scottish lore—but this was not the case. There was a small chapter at the beginning that kind of introduced the ghost and the lore around it, but that was kind of it. This was disappointing because that story was really cool and I loved the idea of the three trees that were standing as sentinels against the ghost and that when the final one died, it was unleashed. I mean, that’s ghost story gold right there! This was not to be, however. That being said, it’s not like there was no ghost. Oh, there was a ghost. And he was a somewhat terrifying ghost who did scary things and gave the story a very creepy feel. The novel was not written like a horror story (I’m not sure whether this was intentional or not), but the ghostly happenings were certainly creepy and could have totally been amped up to make the book just terrifying. 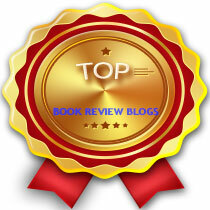 Most of the book was was a good old-fashioned man-meets-woman-and-they-fall-in-love story. The man, of course, is strapping and handsome and all the women around him just can’t believe what a handsome movie star-esque hunk of a man he is. The woman is quirky and rude but beautiful in an unconventional way and the man is inexplicably drawn to this even though she’s pretty unlikeable. They fall in love, but not without some drama from the family and misunderstandings and general shenanigans. In this, the book is pretty typical as far as the love story goes. I was surprised how unlikeable Libby, the main character was. At one point I could tell that Bain had wanted her to be this really cool enigma of a person who was deep and layered with a heart of gold, but I think he failed. She was just rude. Whew. I’m stuffy. Or maybe I’m just jealous and I really want the hunk of a man? (My husband just snorted indignantly.) I mean, everybody else does. To be fair, I’m not a huge reader of chic lit and romance. I don’t enjoy the mismatched but perfect specimens of people that end up together. 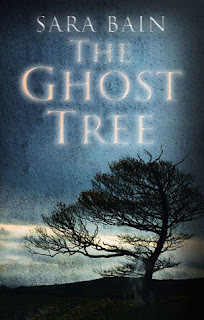 I do like ghost stories, though, and I think if you were a reader of chic lit who wanted a little Scottish lore and ghosts to tantalize you, you’d love this book. For the sensitive reader: There is language and sexual content of this book. However, I was pleasantly surprised how mild it was compared to what I think it would have been. I would rate it a soft PG-13. Summary: The ultimate celebration of the spectacular battle in the final Hobbit movie reveals in stunning detail the full creative vision of Peter Jackson and the filmmakers, together with extensive commentary from the director, cast, crew, and almost 2,000 exclusive photos, illustrations and visual effects imagery. 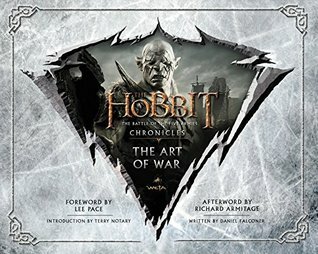 Review: As a bigger fan of the Tolkien movies than the books, I think the final movie, The Battle of the Five Armies may be the exception. Not because the movie isn’t breathtaking, but because it’s such a small part of The Hobbit, it’s almost like Peter Jackson out-Tolkien’d J.R.R. Tolkien. That being said, the craftsmanship that went into the film is still extraordinary. The Art of War delves into all of those incredible details. From the histories behind the armors worn by the armies and the Houses of dwarves, to the history of Thranduil’s Elk (because, WOW. That’s an ELK. ), to the legends behind the gems and the foes, everything is displayed in exquisite detail and described by the masters who made them. The photographs show those details that you can’t notice in the movie-viewing experience to their best advantage. It’s just mind boggling to see the amount of work and love that went into this last movie. 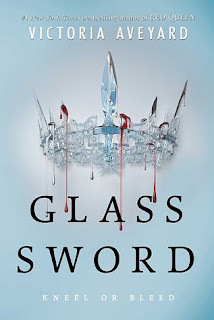 As with the last book in the series I reviewed, this made me want to rewatch the movie and look for the details I came to love through the book. Whether you’re a Tolkien Purist or a superfan, these books are well worth owning.